The new semester at the University of Houston marks a new era for the Center for Mexican American Studies. With the retirement of long-time director and Professor Tatcho Mindiola, Professor Pamela A. Quiroz takes the helm. Mindiola has been director of the Center for Mexican American Studies for 34 years, and was associated with the effort to launch the area of study in the early 1970s. 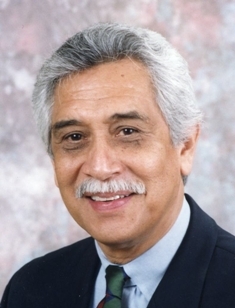 In 1972 he became the first joint appointment at UH, hired as faculty in the sociology department and Mexican American Studies. Under his leadership, CMAS has grown to include such areas of focus as: Visiting Scholars, to promote new scholarship on Latinos; Graduate Fellows, to assist young scholars as they hone their research; and Academic Achievers, to mentor at-risk high school students who will become the first in their families to graduate from college. The center also publishes the University of Houston Series in Mexican American Studies, scholarly works on Latinos in Houston, Texas and the Southwest. “I know our Center for Mexican American Studies is in good hands and is poised for its next chapter on its way to greatness,” Mindiola said. The University has conferred on him the title of Professor Emeritus. In his retirement, he plans to spend time with his family, write and focus on his health. A sociologist, Quiroz has research interests that include the sociology of education, as well as race and inequality, particularly as it relates to children, youth and families. Moving forward at CMAS, she plans to build on existing relationships and broaden the center’s reach by promoting interdisciplinary collaborations and research. Quiroz has been a faculty affiliate for the Institute for Research on Race and Public Policy at UIC and a fellow at Stanford University's Center for the Advancement of the Behavioral and Social Sciences. 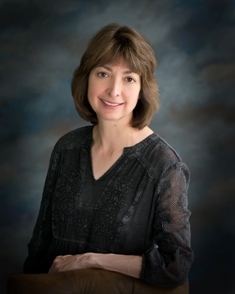 She has published extensively in various academic journals, including the Journal of Family Issues, the Journal of Research on Adolescence, Childhood, and the Sociology of Education.